The 2 major parties in Australian politics have been left scratching their heads over what it is the people want. If the result shows anything it’s that the people want their government to listen and stop putting the interests of big corporates before the benefit of the general population. 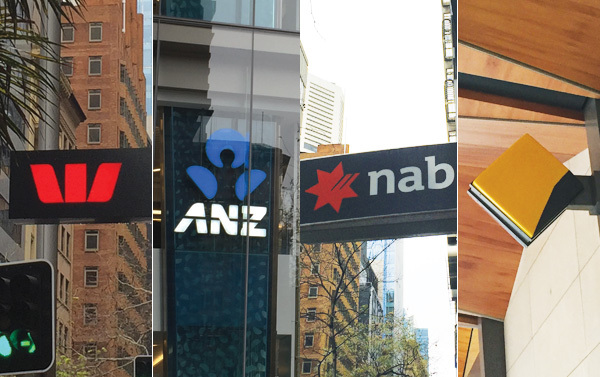 If our new MPs and senators do an effective job, a Royal Commission into the banking industry’s financial advice and remuneration practices should be one positive to emerge from the political disarray the country finds itself in. As the crossbenchers jot down their negotiation wish list, ‘royal commission into banking misconduct’ should be at the top. As recent scandals demonstrate, financial advice in this country is fraught with conflicts of interest, compliance breaches, forgery and fraud. We desperately need to review the problems caused by the vertical integration of banks and their dominant market power. Laws around the incentivisation of finance professionals also need to be reconsidered in light of the recent spate of scandals which implicate the financial advice and insurance arms of the country’s largest banks. Australians would not accept if the health professionals in our society were employed by drug manufacturers and could only offer patients medication associated with their employer. Equally, financial advisers cannot continue to be controlled by those manufacturing the financial products they sell. We expect fair and unbiased financial advice from experts who are educated to understand the balance of financial risk and return. It is deeply unfair they are instead sold products from bank staff and aligned advisers who are incentivised to recommend financial products that benefit the banks’ bottom line. Many such products should never end up in the hands of retail consumers including shonky insurance, complex derivatives and forestry investment schemes. Our Fat Cat Funds Report shows many Australians’ long term savings are eroded by exorbitant fees which, in part, go towards paying a chain of financial professionals, including the advisers who recommend them. $790 million is paid in fees each year to super funds that are perpetual losers, often because advisers recommend them or consumers don’t know any different. That 72% of these ‘Fat Cat Funds’ come from the big banks shows the extent of their market power abuse and the impact it is having on retirement savings. The Future of Financial Advice (FoFA) reforms were aimed to go part of the way by boosting educational standards, but were watered down by the Treasurer after continual lobbying from the banks. The sad fact is that many financial professionals don’t adequately understand the products they sell due to their own lack of financial education. The entry-level course to quality as a financial planner takes 3 weeks – not nearly enough time to suitably cover the complex topic of financial products and advice. This suits the agenda of our largest financial institutions who would rather employ salespeople than well-considered financial experts who may (rightly) question the bank’s biased list of ‘approved products’. Under the Corporations Amendment (Professional Standards of Financial Advisers) Bill 2016, new education standards for financial advisers have been delayed to only come into effect in 2024. By that time $143 billion will be paid in unnecessary super fees due to poor and biased advice, while banks will rake in another $280 billion in combined profits. We need urgent structural reform in the banking and financial industry, as has occurred in the UK, to ensure that consumers are protected, advisers are better educated and incentives are aligned to promote the right types of behaviour. The crossbench MPs and senators have been elected because Australians hope they represent something different. We urge them to represent their constituents and insist on the Royal Commission into banking misconduct that is long overdue. Stockspot has written to each crossbench MP and senator calling on them insist for a royal commission into misconduct in the banking and financial services industry.